The 21st Annual Young Farmers Club (YFC) Stock Judging Competition took place at Park House Farm, Heversham and Lawrence House in Levens on Monday 23 April. 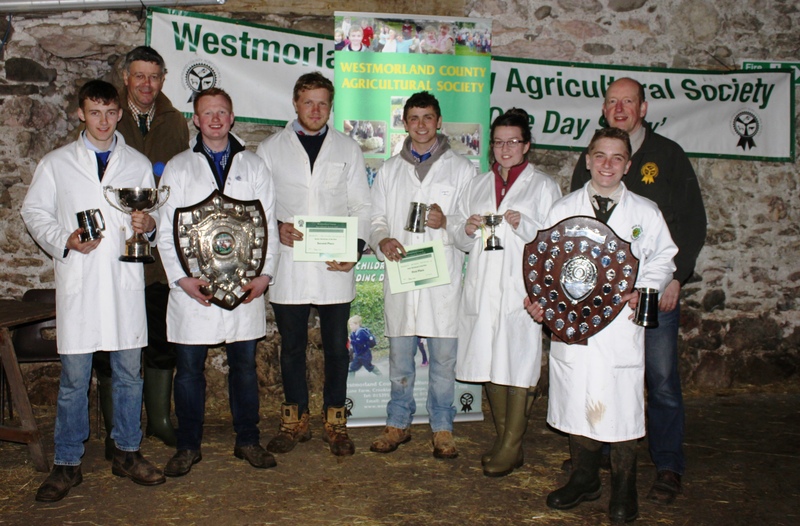 Organised by the Westmorland County Agricultural Society (WCAS), the competition received its highest number of entries with 64 young farmers competing to be Stockman of the Year 2018. Open to all young farmers aged 26 or under, entries were received from across Cumbria, Lancashire and North Yorkshire. There was keen competition and friendly rivalry amongst the competitors who judged dairy cattle, beef cattle and prime lambs, along with a quiz on animal health and husbandry. Competitors judge the animal within each section, looking at their characteristics and confirmation. They then place the animals in order of preference and present reasons to the judge as to why they have arrived at their judgements. Competitors are awarded points based on how close their placings compare to the judge’s order of choice. Winners were presented with their trophies, prize money and certificates by former President of WCAS and Life Member, John Geldard.